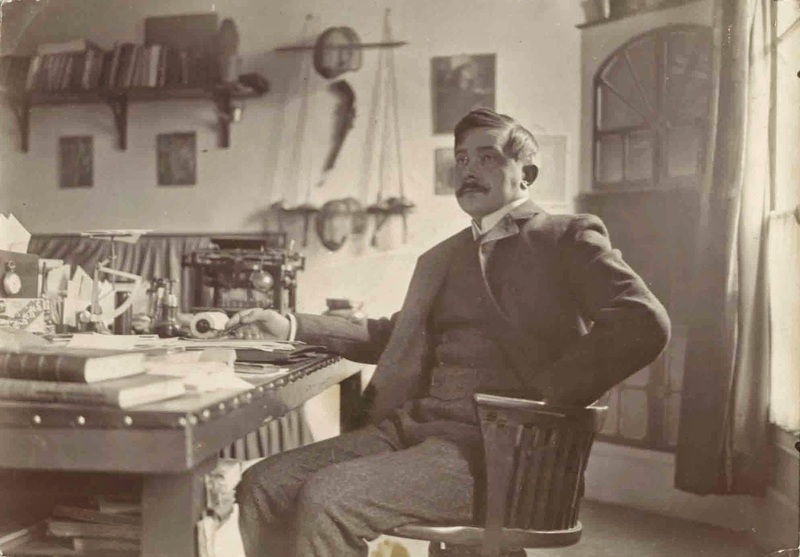 "Maeterlinck does not 'speak' his productions before putting pen to paper, to try the anticipated effect; they bud and burgeon silently within him, like a fruit ripening to maturity before it may be plucked; the words are there, the sentences flow freely, and are written out almost without erasure, directly he sits down at a table to transcribe the work of the brain ready for the typewriter ..."
Maurice Polydore Marie Bernard Maeterlinck was born in Ghent, Belgium, on August 29, 1862, and died in Nice, France, on May 6, 1949, aged 86. A playwright, poet and essayist, he was a Fleming but wrote in French. 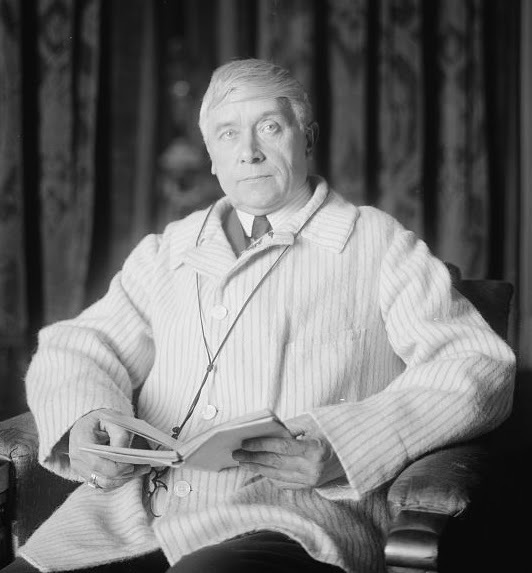 Maeterlinck won the Nobel Prize in Literature in 1911 "in appreciation of his many-sided literary activities, and especially of his dramatic works, which are distinguished by a wealth of imagination and by a poetic fancy, which reveals, sometimes in the guise of a fairy tale, a deep inspiration, while in a mysterious way they appeal to the readers' own feelings and stimulate their imaginations". The main themes in his work are death and the meaning of life. 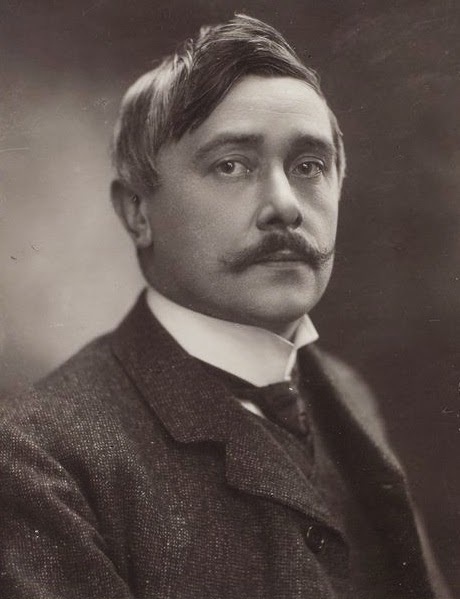 His plays form an important part of the Symbolist movement. In 1920, Hollywood mogul Sam Goldwyn lured Maeterlinck to the US and when Maeterlinck finally submitted two scripts, Goldwyn was horrified to discover the hero of one of them was a bee. After reading the first few pages, Goldwyn burst out of his office, exclaiming: "My God! The hero is a bee!" 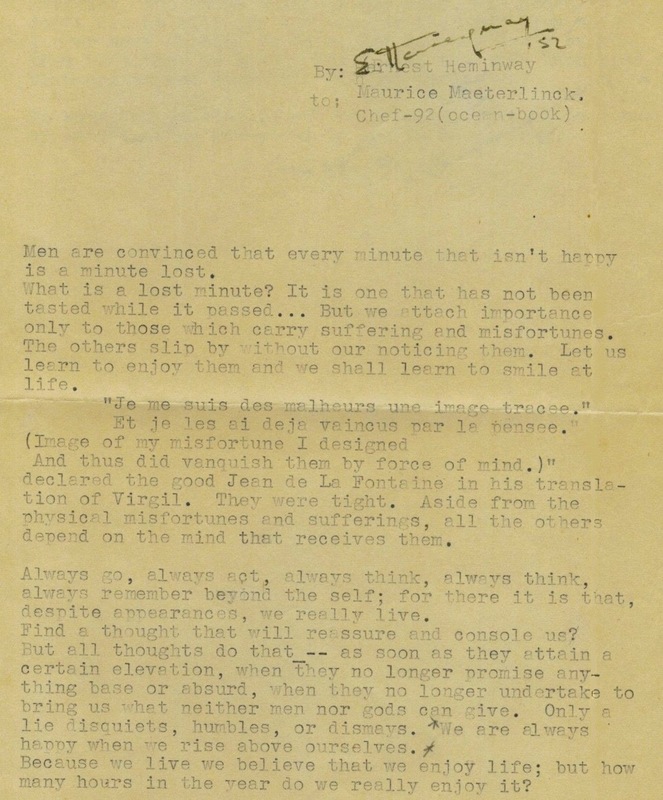 But Goldwyn reassured Maeterlinck, "Don't worry, Maurice, you'll make good yet." 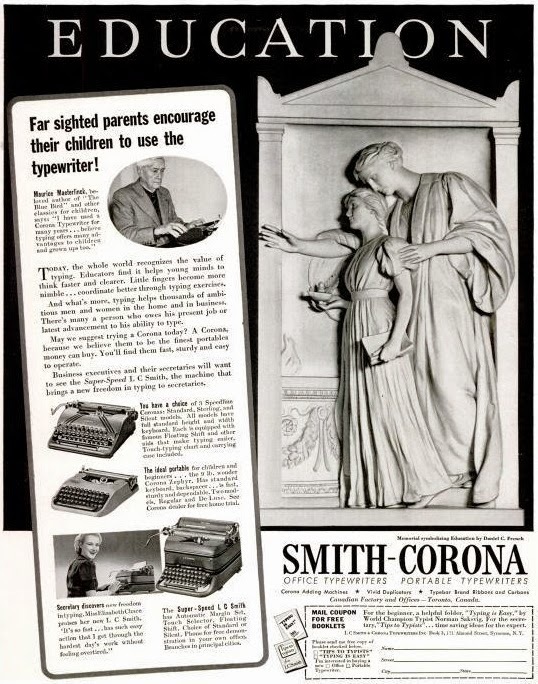 I love the ad 'encourage thier children to use typewriters.' 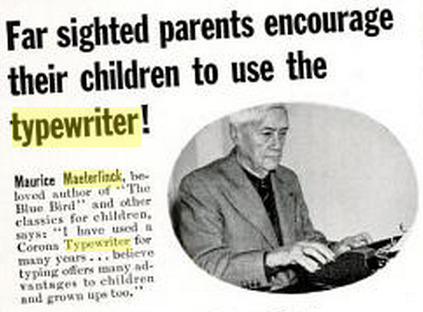 Now if a parent would do that instead of using a computer we may creat a generation of good writers.